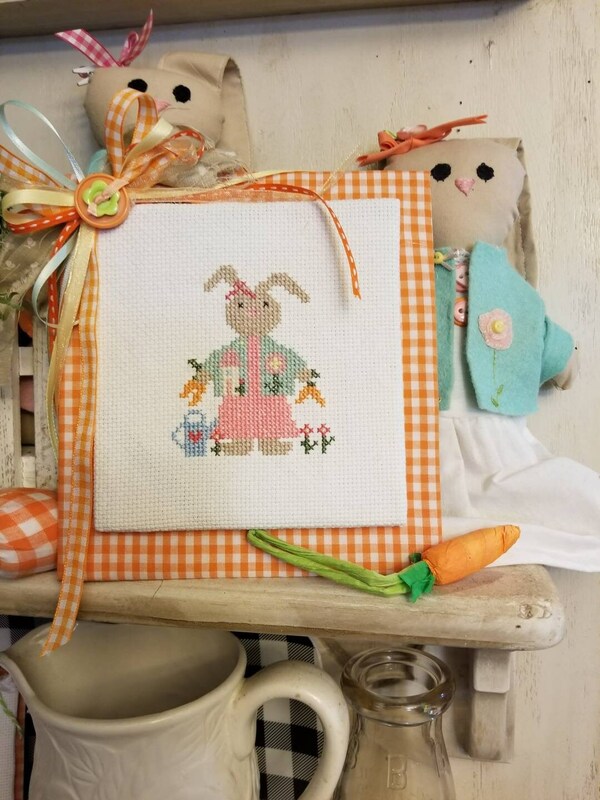 This cross stitch pattern and design was inspired by my Felt Bunny Doll pattern that I designed for my granddaughter Emma Joy. You will receive a full pattern with pattern front design, directions for finishing, pattern chart and thread key in a digital download PDF format. 7 page file. This sweet design is the beginning of several designs featuring this bunny. Every month will feature her in a different outfit. 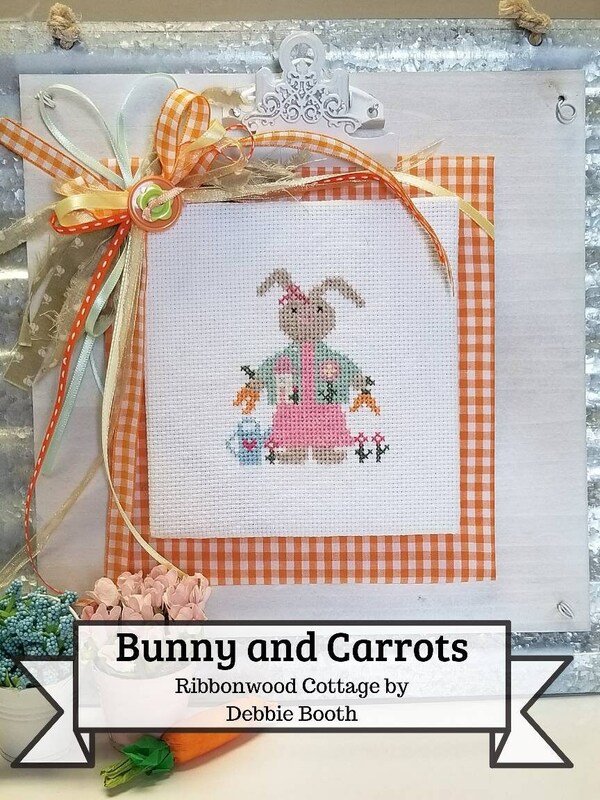 The first design shows the bunny with little carrots from her spring garden. 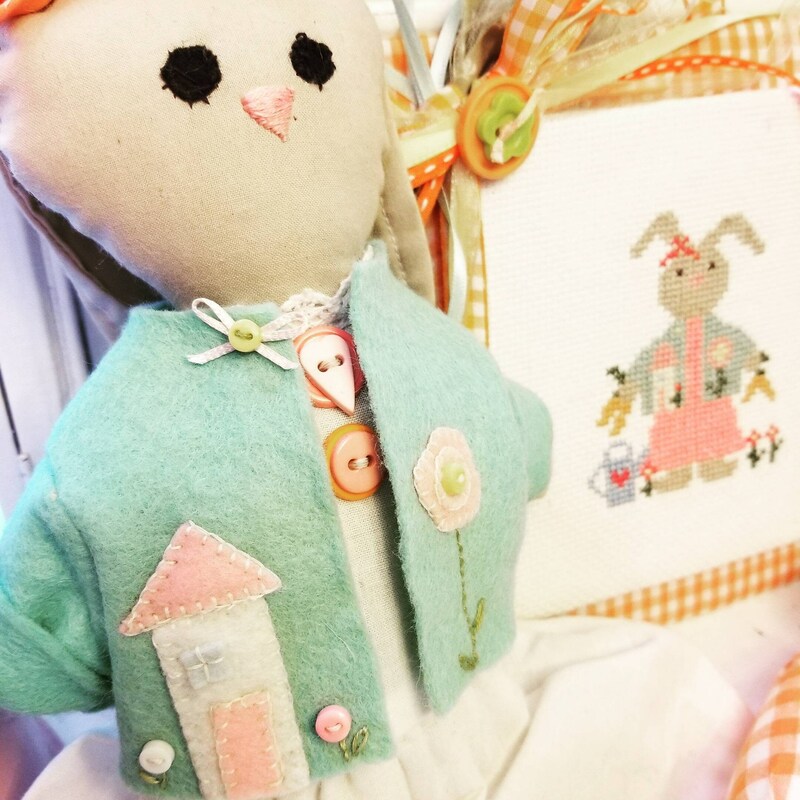 And her outfit matches the outfit the original felt doll bunny has on. This is a digital listing. You will receive no physical pattern in the mail. This pattern is easy to open once the transaction is completed. A link is provided to you, and you click on it. 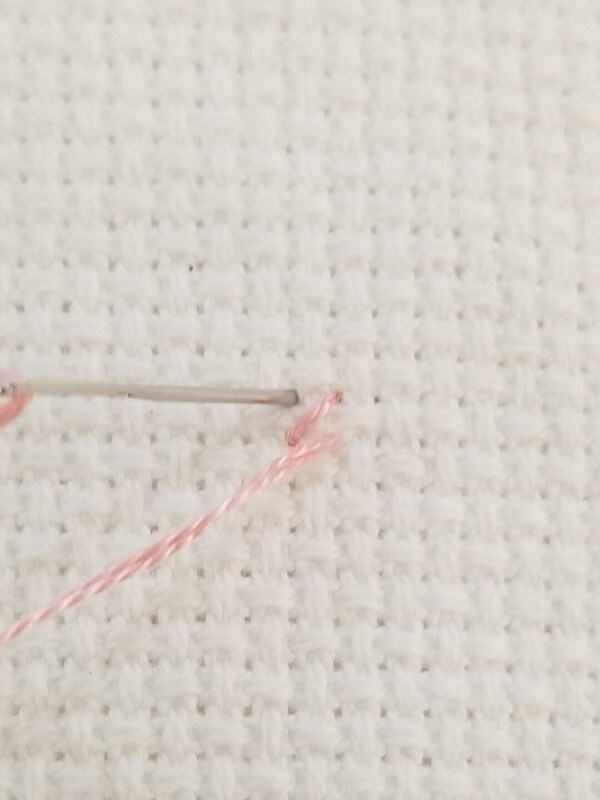 The pattern with full pictures and directions is easily opened. It can be viewed on your tablet, phone or computer. It can also be printed out onto paper if desired. Several wardrobe patterns, and a quilt/bedding pattern for this size doll are also available in my shop. The doll body pattern is very simple to put together and consists of 2 pattern pieces plus the ears.